If the guilt of eating deep fried foods is getting to you, you can now enjoy them without feeling remorseful about it. Thanks to our innovative 5-star Chef Air Fryer that paves the way to healthier eating for you and everyone in your family. Cook with up to 80% less fat. That means you can still have your fried chicken, chips, samosas, spring rolls and all your favourite fried snacks with the same rich taste and no too-much-fat worries. Fry, roast, grill or bake, the amazing Air Fryer can do all these without oil with exceptional results. Just set the correct temperature and cooking duration and let the machine does its wonderful work in producing mouth-watering delights in good time. And when the cooking’s done, it shuts off automatically. How good is that! And if you’re a newbie with air frying, great help comes from a bonus recipe book to guide you through the delectable cooking process with minimum fuss. 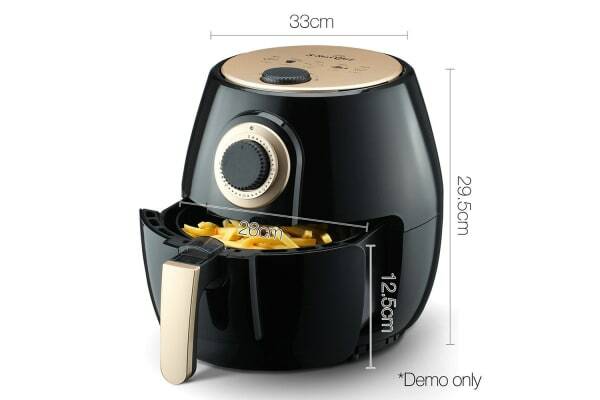 Much of the wonders of the Air Fryer is derived from the fast 3600 circulating hot air that ensures the cooking is done evenly, sealing in all the natural juices and nutrients for a wholesome, nutritious meal. No worries about under or over cooking here. You can also check on the cooking anytime by pulling out the pot. Push it back in and it will continue cooking where it left of. 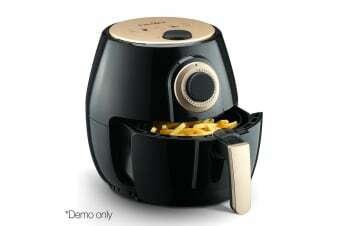 Not least, there are no hot surfaces on the Air Fryer while it’s in operation. Safe to the touch and for your kids too. 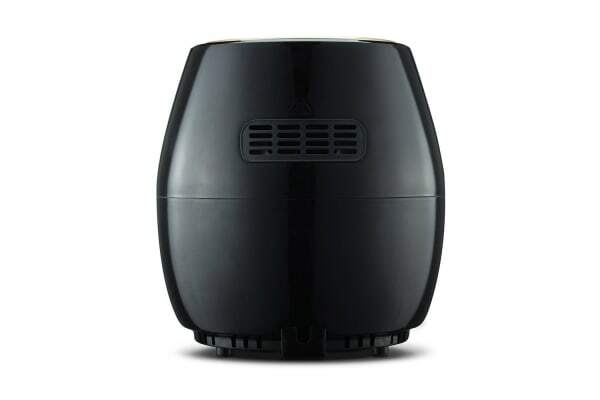 All components of the Air Fryer are dishwasher-safe and can be safely and easily removed for cleaning. Just continue to give it a good wipe down after each use and you have a longlasting and durable kitchen hand for many years of trusted service. Start enjoying healthy cuisines without prejudice. Cook it with the 5-star Chef Air Fryer for a whole new world of sumptuous eating. Get yours today.